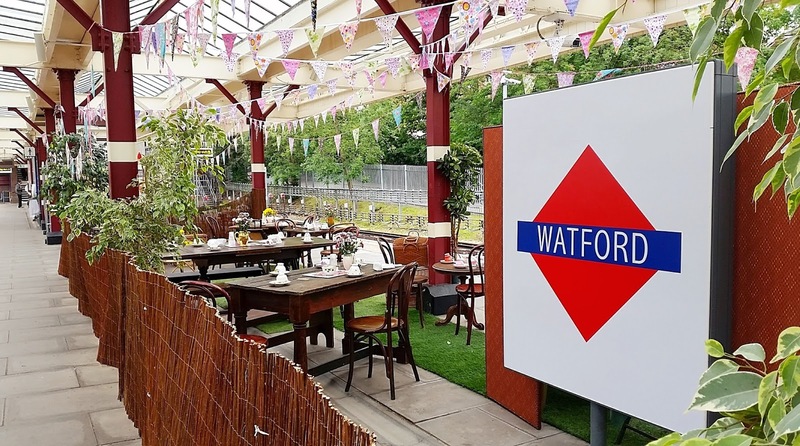 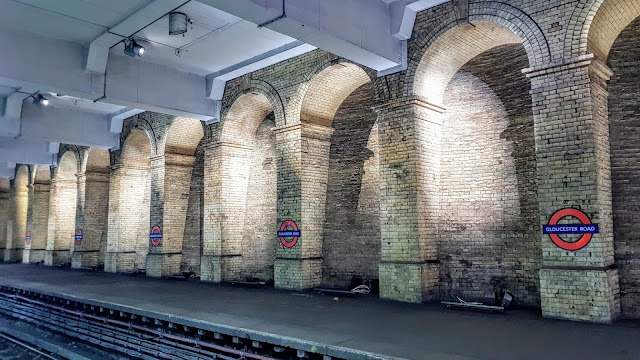 Watford Underground Station during the 150th anniversary of the Tube (Metropolitan line). 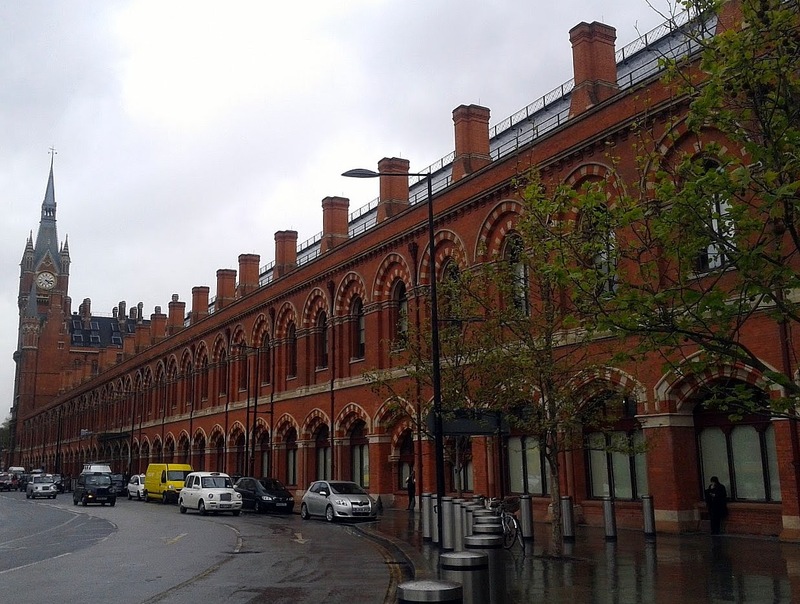 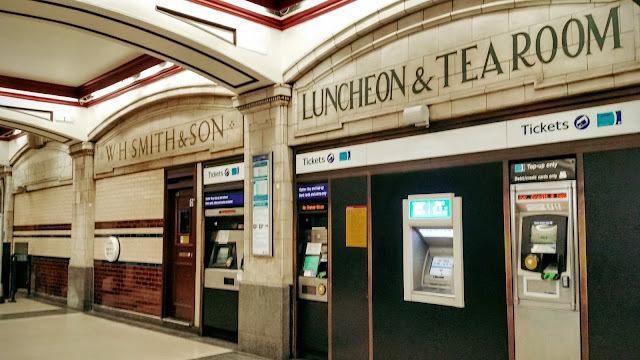 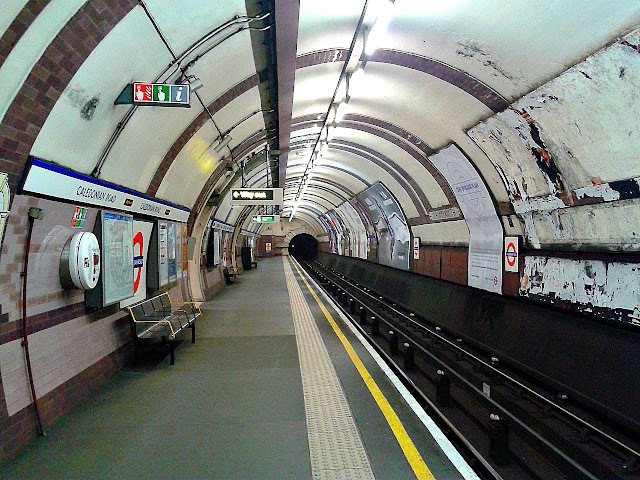 Baker Street station (Bakerloo, Circle, Hammersmith & City, Jubilee and Metropolitan lines). 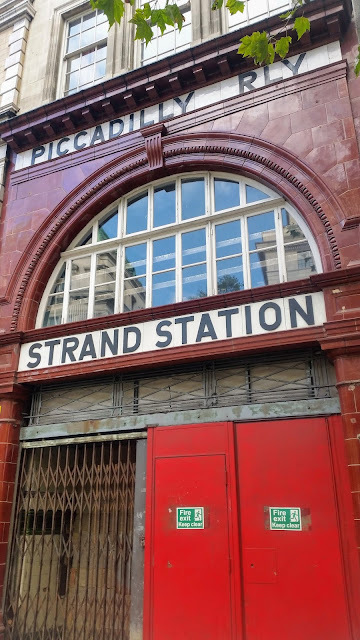 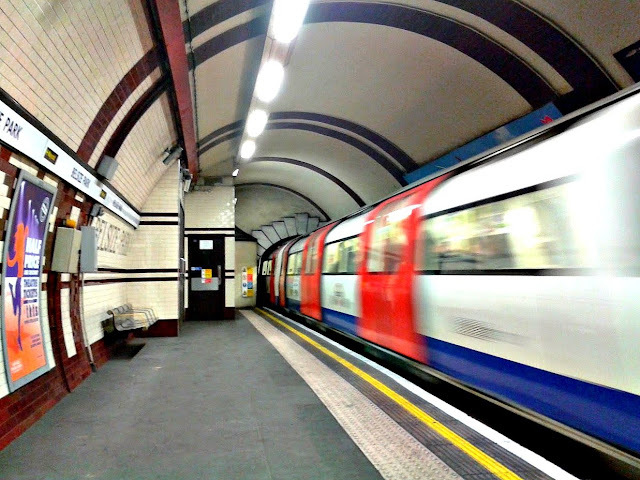 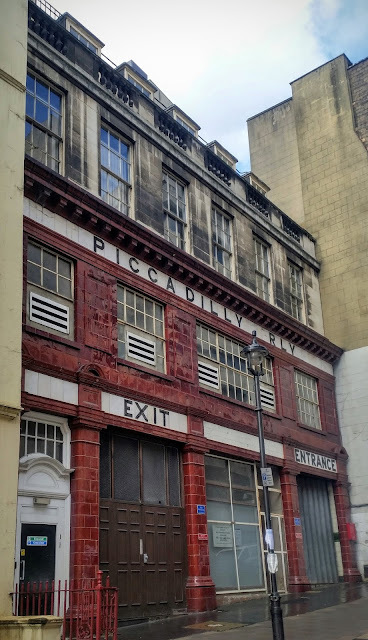 Gloucester Road underground station (Circle, District and Piccadilly lines). 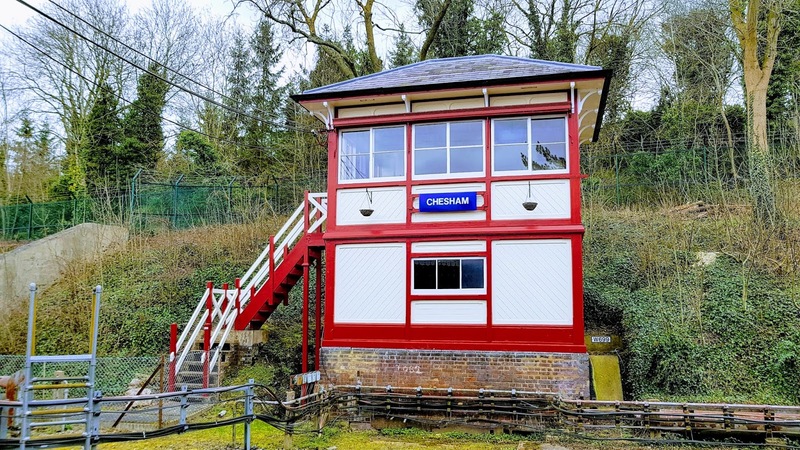 Chesham Signal Box, 2018 (Metropolitan line). 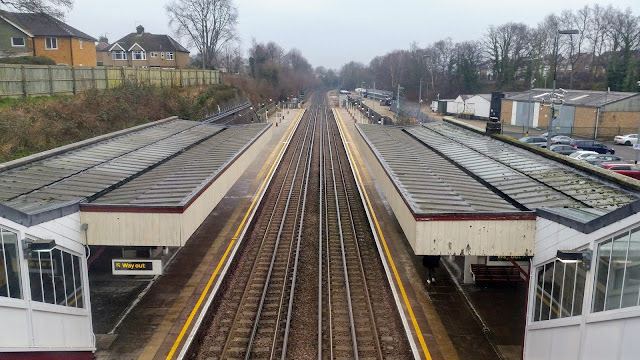 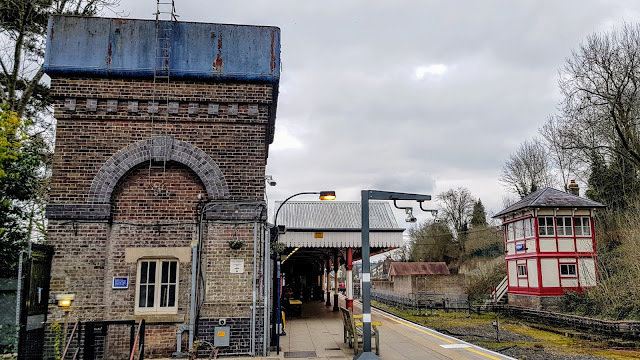 Chesham rural underground station, with water tower and signal box (Metropolitan line). 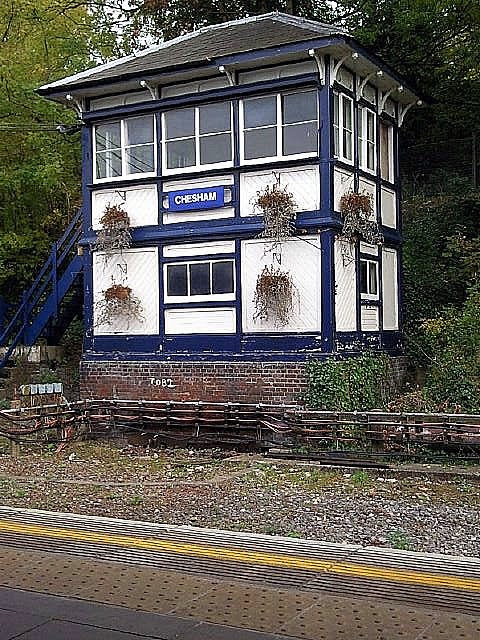 Chesham underground station signal box, 2009 (Metropolitan line). 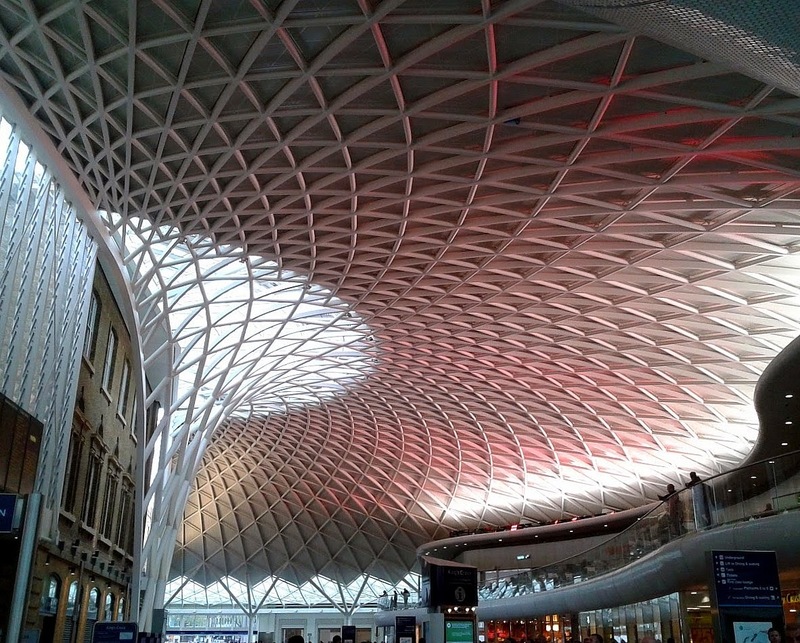 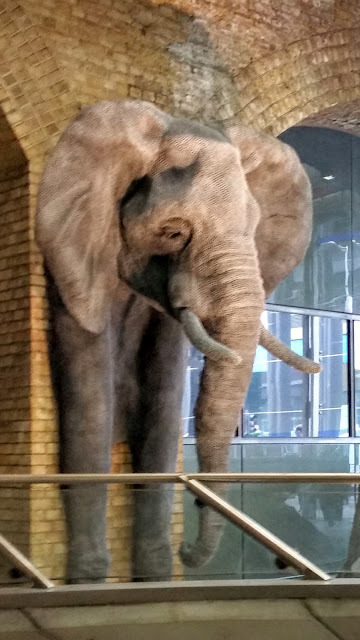 The elephant in the room, at Waterloo station.